There is no more lovely, friendly and charming relationship, communion than a good marriage - Martin Luther. After Virat and Anushka’s secret destination wedding in Italy, more and more couples are inclined towards treading the same path. The enthralling idea of exchanging vows with your soulmate in a regal ambiance is truly charming. No, we are not talking about fleeing away seven seas across the globe to tie the knot, you can have a fabulous destination wedding in India too. Rajasthan alone has a plethora of places that would work wonders to commemorate your new phase of life. From Devigarh and City Palace Complex in the Venice of the East - Udaipur to Jal Mahal Palace or Samode Palace in Jaipur or Jodhpur, you could select any venue for a romantic wedding or a royal carousel. Did you know that Bollywood and Hollywood celebrities like Madonna, Katy Perry, and Elizabeth Hurley tied the knot in this beautiful state? Rajasthan is a hub of our rich culture and heritage. The weddings here are exotic, elegant and one-of-its-kind. The most prominent state of India is still protected by the quintessence of its majestic rulers. You could say “I DO” in complete vogue at venues set amidst mountains, palaces, beaches or deserts. Marriages are like tiny fingerprints; each is different and beautiful – Maggie Reyes. Udaipur : This is one of the most romantic cities in India. The “Travel and Leisure” magazine acclaimed it as “the best place in the world.” The charismatic town lies in Southern Rajasthan close to both Gujarat and Madhya Pradesh borders. 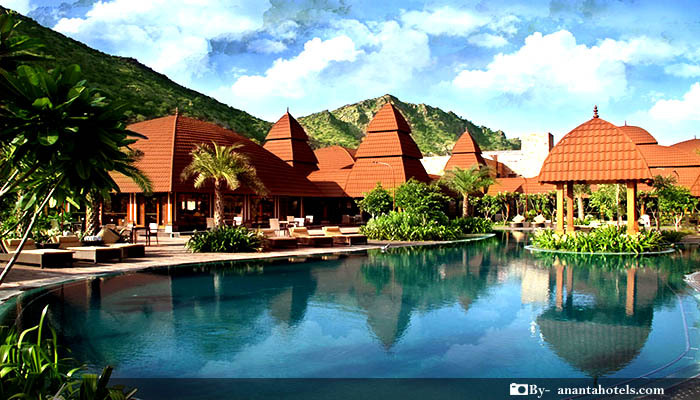 It is nestled in Aravalli Mountains, at about 577m high. A city wall safeguards Udaipur. The area gives you the feel of Hill Station. Imagine exchanging vows in a town weaved with greenery and old age charm. Udaipur is one of the most the most renowned and preferred venues for a destination wedding in Rajasthan. What makes Udaipur the best Destinations in Rajasthan for a wedding? It is ideal for romantic holidays. Its proximity to Gujarat makes it comfortable for the NRI Gujarati families to commute. The rail, road and air connectivity from Delhi and Mumbai is great. There are exclusive and luxurious palace venues and five-star hotels to choose from. From a couple to 1500 guests can be accommodated in selected venues. Immense aesthetic beauty adds to the venue decor. 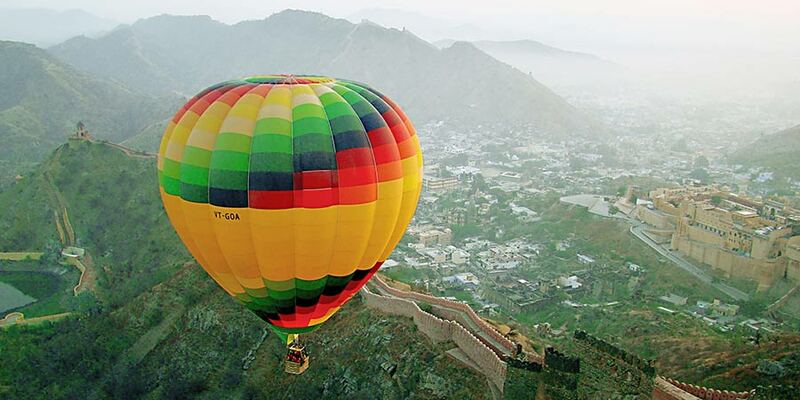 Jaipur: Jaipur also known as The Pink City is the largest city in Rajasthan. It is a part of India’s Golden Triangle and a must-do town in the International Tourists’ list. 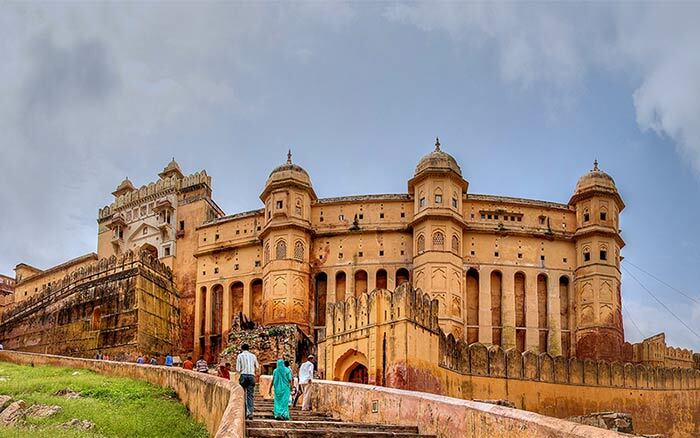 This beautiful city is beckoned by gorgeous pink palaces & forts, bustling handicrafts market, silver jewelry, semi-precious gemstones, Rajasthani prints fabric, and antique collections. The best part about organizing a wedding in Jaipur is its proximity to Delhi. Which means your guests from Chandigarh, Lucknow, Agra, Mumbai, Ahmedabad or other North-West Indian Cities could come down to the destination with complete ease. Flights are affordable, while commuting by Train and bus is also easy. Apart from this, times when there are no ceremonies, your guests could visit palaces, spa, hotels and various other places. In Jaipur, you could get an array of wedding vendors, photographers, and wedding planners easily. For pre-wedding photoshoots, the couple could elope to Taj Rambagh Palace, Jaipur Marriott Hotel, Jai Mahal Palace, Samode Palace & Haveli, Hari Mahal Palace, Neemrana Fort Palace. Marriage is a mosaic built with the spouse. Millions of tiny moments create your love story – Jennifer Smith. Jaisalmer : If getting married with sand dunes in the backdrop has always been your fantasy, then choose Jaisalmer for your big day. The yellow sandstone city is host to age-old palaces, havelis, mansions and ornate temples including Jaisalmer Fort, Patwon Ji Ki Haveli, Nathmal Ji Ki Haveli, Salim Singh Ki Haveli and Gadsisar Lake. The cobblestoned pathways, authentic cuisine, unique architecture, and folklore make this Golden City a definite destination for a royal wedding in Rajasthan. For a tantalizing wedding in Jaisalmer, you could choose any of these venues Suryagarh Palace, Fort Rajwada, Gorbandh Palace, Jawahar Niwas and Narain Niwas. What more? You could etch beautiful memories by dining in Sand Dunes, BBQ night, Snake charmers, Camel ride, Folk entertainers, Kite flying, Camping, Royal procession and what not! Jodhpur : Jodhpur is the second largest city in Rajasthan. It is also known as the sun city and the blue city. Jodhpur was found in 1459 by Rao Jodha, a Rathore family chief. Since then many noble families have been associated with this Royal land in India. Jodhpur was a state in British rule, and the capital was Marwar, thus the Marwari royal attire. If you wish to have a grand royal wedding, then Jodhpur would be an enticing venue. The city’s mesmerizing beauty and excellent hospitality values make it an ideal venue for destination weddings. Apart from this, the city is colorful, scenic, elegant, and adorned with Forts, Palaces, Gardens, Lakes and placid & undisturbed Aravalis. Some of the topmost location where you could tie the knot are Mihir Garh, Raas, Taj Hari Mahal, Ajit Bhawan, Bal Samand Lake Palace, Samsara Luxury Resort, and Camp. The wedding will be a grand affair characterized by pomp, glitz, and grandeur matching up to the ways of the mighty Rathore Rajputs who once reigned over the land. Symbolizing the union of two souls amidst much pomp and gaiety, a Jodhpur wedding is indeed a social and solemn elaborate affair. Thus, it wouldn’t be wrong to conclude that wedding in Rajasthan would be soaked it regal charm; wouldn’t you like to experience it? So, what are you waiting for? An everlasting marriage is built by two people who believe in – and live by – the promise they made – Darlene Schacht.